Floor Drain and Sewer Line Problems? Sewer lines are typically located under the foundation of your home. First there is the concrete floor, then a couple feet of dirt, and then the sewer pipe. 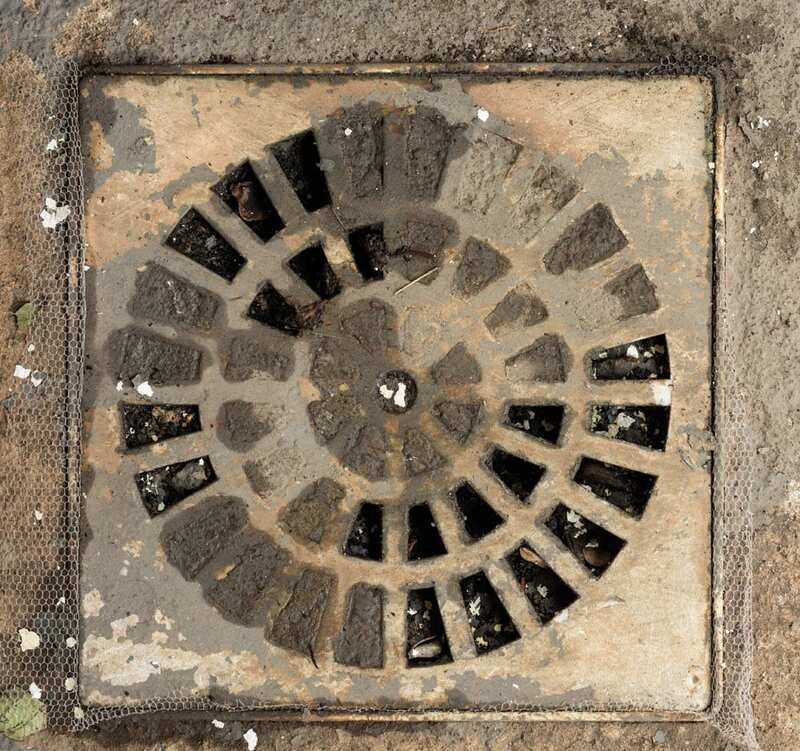 In addition to being connected to pipes carrying water and waste matter, your sewer lines are likely connected to one or more floor drains in your basement. At D-Bug, we are experts at waterproofing basements, repairing foundations, and dealing with all the issues and problems related to wet basements and ground water entering the home. With any basement drain or sewer line problem, the most expensive option is to start digging up your basement and/or your yard to replace existing lines. In many cases, it may not even be clear where those lines are or exactly how they run. We use a line camera to “see” what’s going on inside and locate the exact position of the problem. This takes some experience and expertise. As you might imagine, sewer lines can be filled with waste, buildup of grease and other materials, soap scum, calcium, and more. 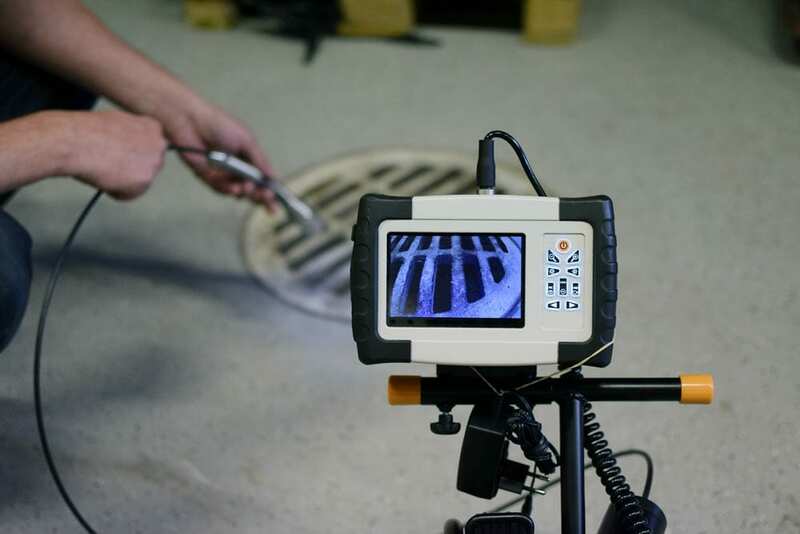 Our cameras identify the exact location and depth of the problem, guiding repairs and helping us address your drain problems quickly and conservatively, saving you money. Call us at 1-855-381-1528, or visit our Contact Us page to request more information. Why Call D-Bug Instead of a Plumber? 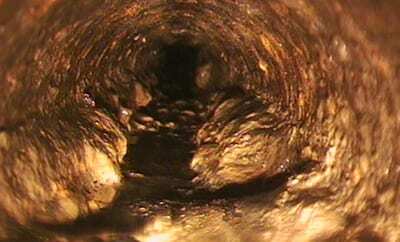 Many plumbers are equipped to inspect drains and eel out sewer lines. At D-Bug Waterproofing, we offer comprehensive services related to wet basements, water intrusion, and foundation repair. We are your home’s one-stop experts for installing French Drains, mold remediation, foundation repair, basement waterproofing, sump pump installation and maintenance, basement and whole house ventilation systems, and more. We even offer basement remodeling services! At D-Bug Waterproofing, we know more than almost anyone else about waterproofing and repairing your basement. Call us at 1-855-381-1528 or visit our Contact Us page today.